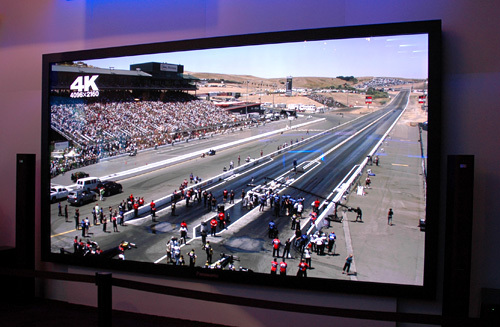 [CES 2010] Panasonic's 152-Inch 4096×2160 Ultra HD Plasma Display | OhGizmo! If you’ve got a device capable of pushing a 4K signal, might I suggest picking up one of Panasonic’s lovely 152-inch, 4092×2160 Viera plasma displays? I’ve no idea what one of these would set you back, but I’m going to file it away in my ‘you probably can’t afford it and probably never will’ drawer. Unless I can find a booth giving away 152-inch tote bags that would let me discreetly slip this out of Panasonic’s booth.